The Greenheart Global Leaders Conference (GGLC) & Alumni Council are our top two opportunities for global leaders to truly grow & transform themselves to be empowered agents for change. These programs bring in a network of change-makers from around the globe for a true cross-cultural experience involving volunteerism, professional networking, personal development, and leadership training. 1. You’re 18 years or older. We do implement an age restriction on our programs. Before beginning our GGLC application, make sure you’re eligible, which means 18+ please! 2. You want to network with 39 other international students and alumni from around the world. Networking is all about making connections & finding the right people with similar interests. Who would have thought that you just might share a similar idea to someone on the other side of the globe? Our advice to you: meet, connect, & collaborate to broaden your network. That’s what GGLC is all about. We are looking for eager applicants who want to make the most of their experience in D.C., with an open mind to meet new people, make memorable moments & find unique friends to share ideas together. 3. You’re looking for more direction on your purpose & want to focus on your leadership skills. We understand, nobody can do everything on their own. That’s why Greenheart is here to help motivate & guide you on your path to living a more purpose-driven life. The GGLC is perfect for those who want to share their ideas, but maybe still need that little nudge of resources & encouragement. Don’t be afraid to share with us in your application how GGLC would make the most difference in your life. 4. You’re passionate about environmental sustainability, social justice and/or mission-driven business. These three exceptional topics just so happen to be the tiers within our conference that you get to choose from in your application! Try and think about how each topic will help you reach your personal or professional goals. What kind of impact can you make on your community and what specific skills/knowledge will you bring home? 5. Cultural exchange significantly impacted your life and you would like the chance to speak at the U.S. Department of State on why meaningful travel is so important for our future. This is your time to shine! GGLC gives you the unique opportunity to let your voice be heard on a global scale. When you venture off to Washington D.C., you’ll get an entire week to learn how to advocate for cultural exchange and community development. Greenheart staff along with leading experts in the fields we mentioned above will be your skilled mentors. You’re then able to share your cultural exchange story on a national stage at the U.S. Department of State. Who better to do it than you? 6. You’d like to learn more about how to create change in your community. GGLC will prepare you to walk away with all the skills you need to create change back at home or in a community that’s near and dear to your heart. You will feel confidant, with an entire network of people around the globe to back you up on your incredible ideas to create lasting change. 7. You want to visit Washington, D.C. this summer! The U.S. has much to offer, but Washington D.C. is the epicenter for where it all happens! This historic yet cosmopolitan city is the perfect setting to network with our nation’s leaders, meet our community of government officials, tour the area at large & discover your new favorite place. It’s pretty extraordinary. 8. GGLC sounds perfect – you want to apply, but not sure where to start? Login to your Greenheart Club account and start your story. We just want to get to know you better! Share your ideas about what you hope to accomplish, tell us a about your future goals, inspirations or interests, and a bonus point goes out to you if you fill it all in with your personality! As the final step in our unique Greenheart Odyssey, we prefer that council members are age 20+. However, we encourage those who are 18 and older to apply. 2. You have already completed an Ambassador Scholarship, or a Greenheart Leadership Conference such as GGLC or Jr. GGLC. We encourage those who are eager to apply to our Alumni Council to accomplish one or both of these important checkpoints first! Our ideal candidate must have passed through at least one previous leadership stage of our Odyssey pipeline. If you haven’t quite met that mark, consider scrolling back up and check if you meet the criteria for GGLC. We don’t want you to miss out on these extraordinary programs! Our Greenheart Service Grant serves as a stepping stone for our Alumni Council. The Council allows you to lead with confidence and take charge of projects in your own communities. Behind the scenes experience in project management is always a plus, but is not necessarily required. 4. You’ve already begun making change in your community but would like to take your skills to the next level. The Alumni Council is full of endless opportunities for you to broaden your skills & network. Perhaps you’ve designed a community service project at home, or have an innovative business idea. We seek creative thinkers who come up with fresh ideas to address urgent global issues on a local scale. 5. You’re passionate about finding solutions to issues in your local community. We aspire to find leaders who take initiative into their hometown communities. If you have a plan for a community project, then Alumni Council is the perfect place for you. Here’s a link of our previous Alumni Council projects, where our members have gone above and beyond our wildest expectations. You can too! 6. You’re interested in forming close relationships with 5 other Greenheart alumni across the globe. The Alumni council feels a lot like an intimate, tight knit family. We are there for one another, to collaborate, to create a more peaceful, sustainable future for all. This is your network of supporters, outside of your hometown immediate circle. We celebrate success together and welcome you with open arms. With a tight knit family, comes loads of support & resources. The Alumni Council offers a variety of skillset training and offers you the best version of professional development to prepare you for the ultimate purpose project. Let’s get started! 8. You want to visit Chicago, USA in October 2019! 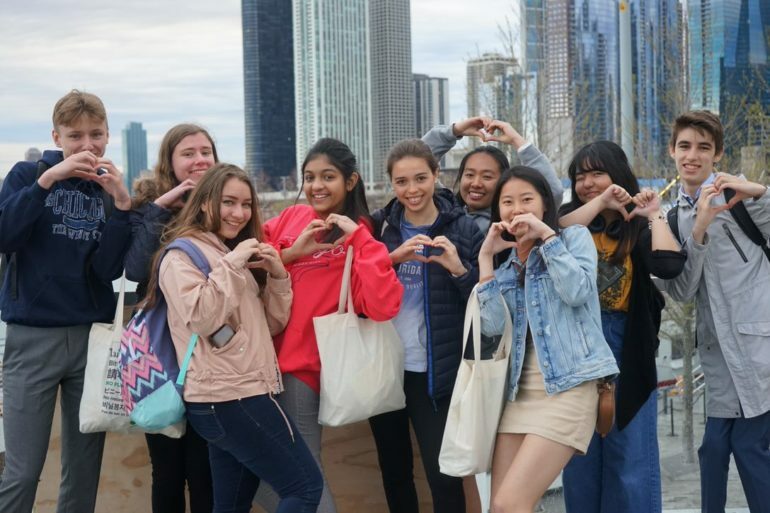 Fall in the windy city is beautiful and it’s home to our incredible Greenheart family! We extend a warm welcome to our Alumni Council members as you visit our home. Meet our team, explore the sights and get a full experience of Chicago’s finest leaders, collaborators, inventors and dreamers. Please consider submitting an application for our Greenheart Odyssey Programs by logging into the Greenheart Club — we are so incredibly excited to meet you! Hopefully these tips have given you a better understanding of the application process and what to expect on our programs. Can’t remember your password or having trouble signing in? Email club@greenheart.org and a staff member will help you out right away! Thanks for reading along – for more helpful tools and testimonials from alumni, please be sure to check out our Greenheart International Instagram & Facebook page. 6 thoughts on "8 Tips for Creating a Successful Greenheart Global Leaders Conference and Alumni Council Application"
Hi Richard, thanks so much for your message! This year, Greenheart Global Leader’s Conference takes place July 28th- August 2nd in Washington D.C. We award up to 40 scholarships to qualified participants & alumni, which include international travel to/from Washington D.C. (up to $1,000), domestic travel (up to $500), accommodation, breakfast & dinner and conference activities. Thanks! We hope you apply! I want to know when, where, how live, how program wii go, how program that ill have, free or not free and so on about both ofthe Greenheart Global Leaders Conference and Alumni Council Application. And i already had homestay program at willing, Chicago…. am i alumni? and is there any chance or profit or limit? please respond to me that i can understand easily… im korean. Hi Roh, thank you for your message! 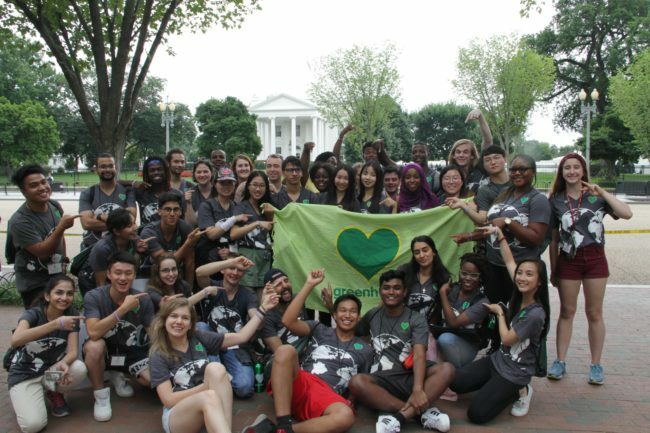 The Greenheart Global Leader’s Conference is a Greenheart alumni program where 40+ participants gather in Washington D.C. for a single week of the year to tour the city, network, volunteer and practice their leadership skills. The Alumni Council is a Greenheart alumni program that includes a yearlong workshop involving a much more intimate group of participants who are interested in organizing their own service initiative. Greenheart provides a range of training throughout the program and acts as a mentor for our Alumni Council participants to pursue their project. Both programs are fully funded for, thanks to our helpful donors. Unfortunately, we are no longer accepting international applications at this time for 2019 Greenheart Global Leader’s Conference or our Alumni Council. We do encourage you to check out our other Greenheart programs and grants throughout the year to get a better understanding of each of our programs. Thanks, Olivia. Is the Conference in D.C still available? I so want to participate programs held by CCI! I didn’t fully understand how it works and how to reply while my domestic browser in China does not access to your links conveniently. Do I miss the deadline? If not how can I apply? If I miss it, is there any other time the access will be open again? Hi there! Thanks for your interest in our alumni programs! Unfortunately, our 2019 Greenheart Global Leader’s Conference applications are officially closed this year for international alumni. We are now only accepting applications for participants and alumni located within the U.S. until March 15th. 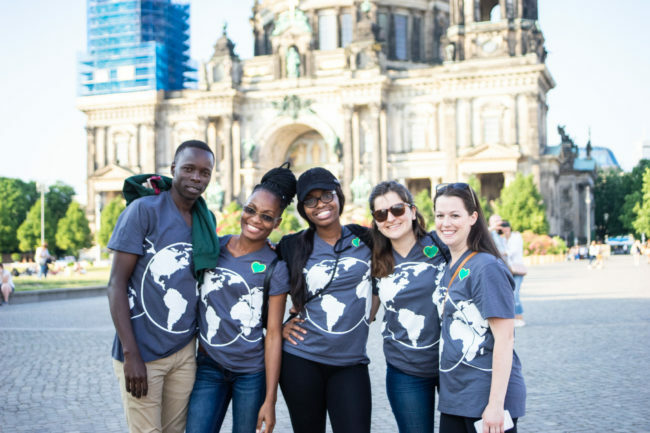 We’re sorry you missed the deadline but we do encourage you to consider applying for a Greenheart Global Impact Grant to gain some service experience prior to attending GGLC 2020. Also, be sure to follow us on both Facebook and Instagram for our latest program updates.